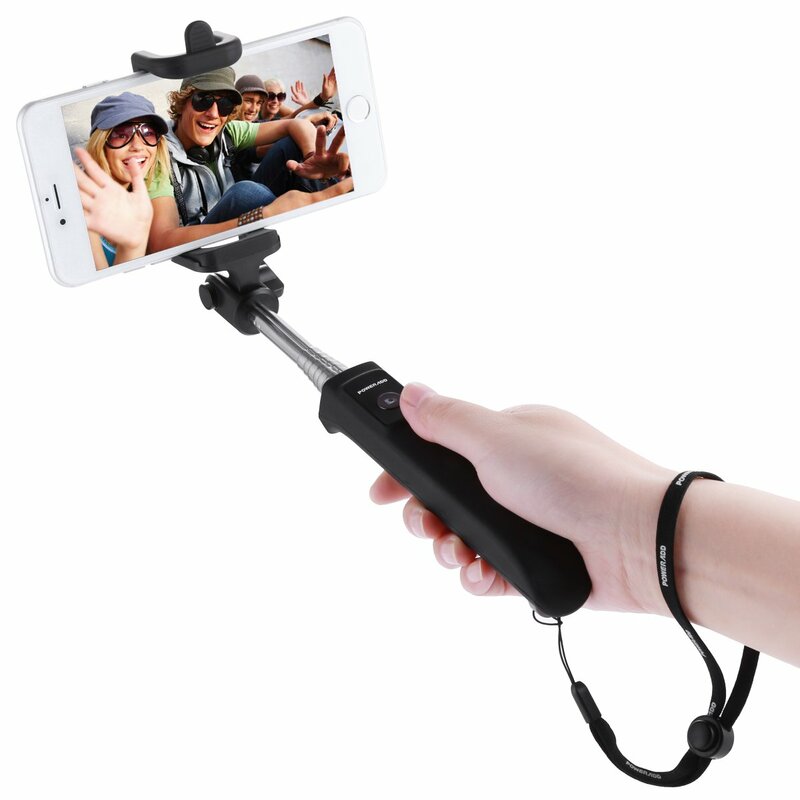 Home › Poweradd 2Nd Gen Bluetooth Selfie Stick Self-Portrait Monopod With Built-In R..
Poweradd 2Nd Gen Bluetooth Selfie Stick Self-Portrait Monopod With Built-In R..
2015 2nd Gen: Improved silicone rubber handle, feels much better and grips more stably. Fully compatible with all iOS / Android smartphones, works with any phones between 2.2 and 3.3 inches wide. What You Get: Industry-Leading 24 Months Warranty! Poweradd 2nd Gen Bluetooth Selfie Stick, Micro USB Charging Cable, Adjustable Wrist Strap, User Manual. Only need 3 steps to take pictures: 1. Pair Bluetooth, 2. Clamp your phone, 3. Press button to snap!